Members of Rabobank Noord- and Oost-Achterhoek can vote and you should do that, because every vote increases the contribution of the bank. Last year that amounted to 195 euros. Thanks partly to your vote the live concert, flanked by an inspiring art exhibition, is accessible to a wide audience. True to tradition the Frans & Kapma Foundation and artist (and fellow board member) Ida Roekevisch work closely together to organize the atmospheric event, assisted by a team of enthusiastic volunteers. For the upcoming concert musicians have been booked, who have played in the television program 'Podium Witteman'! 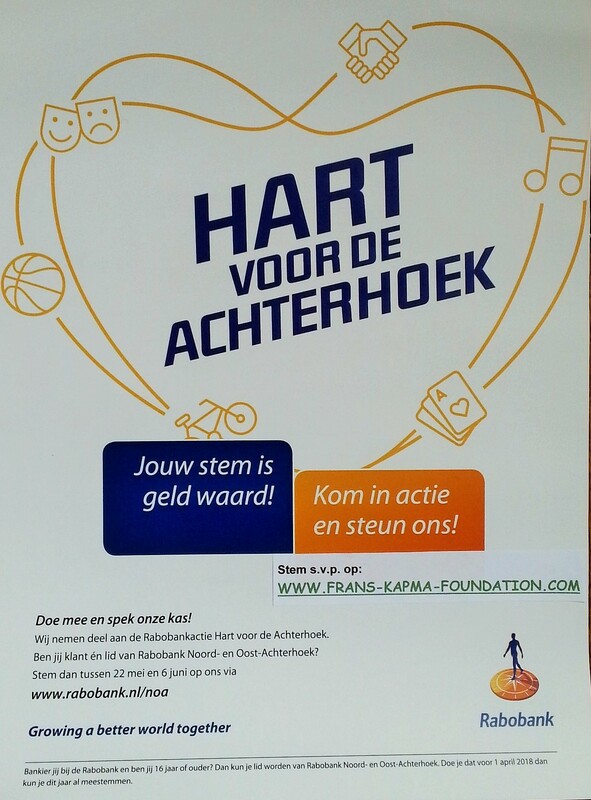 When you are a member of the Rabobank Noord and Oost Achterhoek, you will be sent a ballot at home in April, which enable you to vote on the Bank's website between 22 May and 6 June for the Frans & Kapma Foundation. Thank you in advance for your support!